Aloha friends! Welcome to Spring! hopefully you are enjoying your Spring Break or it's very close!! I just returned from a wonderful trip to Seattle and loved it!!! I am back at home now and doing a little prep work for my classroom. 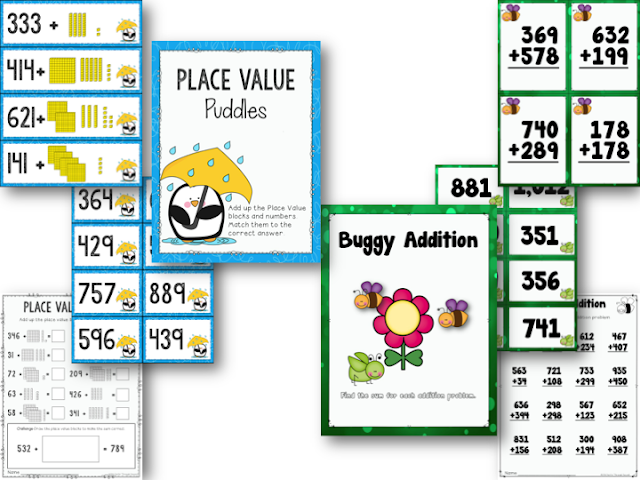 I finally finished some math centers that I have been working on. 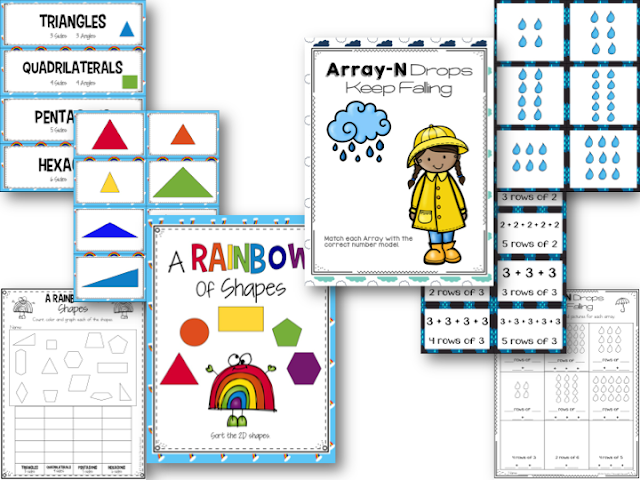 I love have new activities each month for my students to use during our Math rotations. 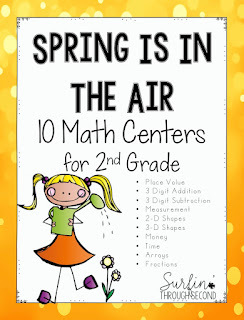 These centers include 10 different skills to keep everyone engaged and challenged. 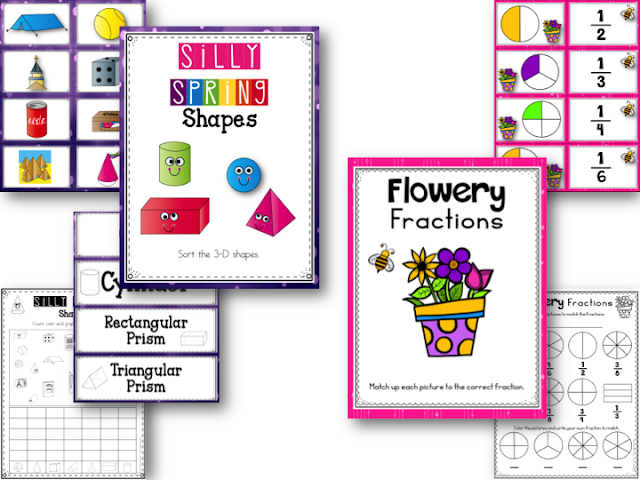 Skills include Place Value, 3 Digit Addition and Subtraction, Measurement, Time, Money, Fractions, Arrays, 2D and 3D shapes. 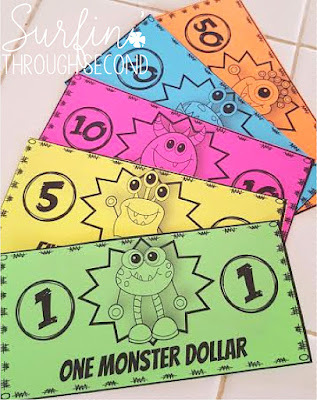 I copy, cut and laminate each center and place them in manilla envelopes for easy storage. I also include a laminated copy of the skill sheet to save on paper. 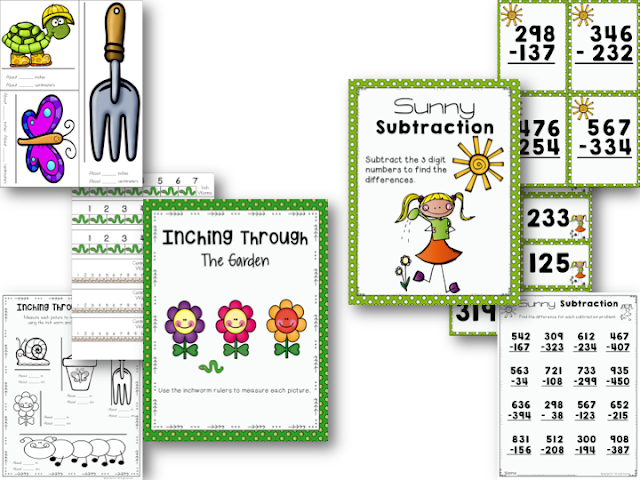 Students can do the work right on the laminated cards/sheets and wipe off with a dry erase marker. I have also included a black and white version to save on ink! 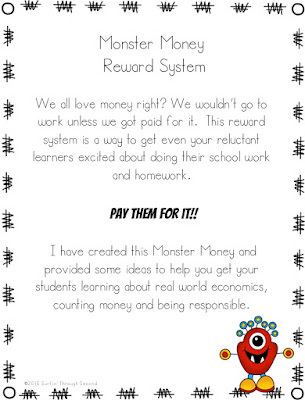 I also had a request from a teacher who uses Class Dojo in her classroom. 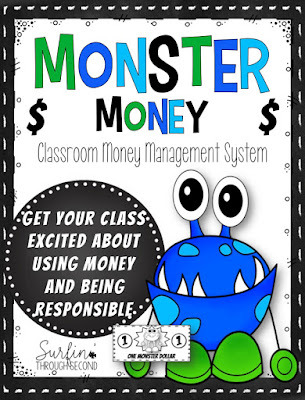 She wanted a money system like my Beach Bucks to use in her classroom with a Monster theme. I had a lot of fun making these and they came out so cute!! I kind of want to use these instead! I'm pretty sure my friend and her class are going to love these!! 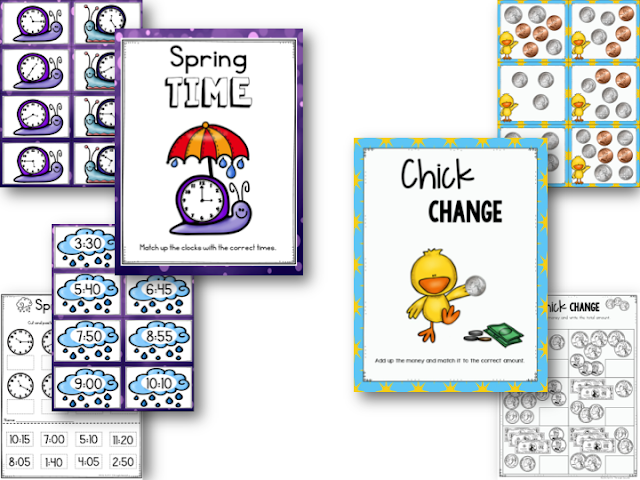 You can check out both of these items in my TpT shop. I am off the do a bit of Spring Cleaning today and hopefully a bit of napping too!